Minecraft maniacs and Fortnite fans assemble! MineVention is coming to Dreamland on Saturday 9th and Sunday 10th March, with a packed programme of demos, tournaments, talks and even a Guinness World Record attempt for Minecraft lovers big and small. But they won’t be building and battling alone… for the first time at Dreamland, the online gaming phenomenon Fortnite will be pulling into the park on the iconic Razer Gaming Bus and running tournaments throughout the event. 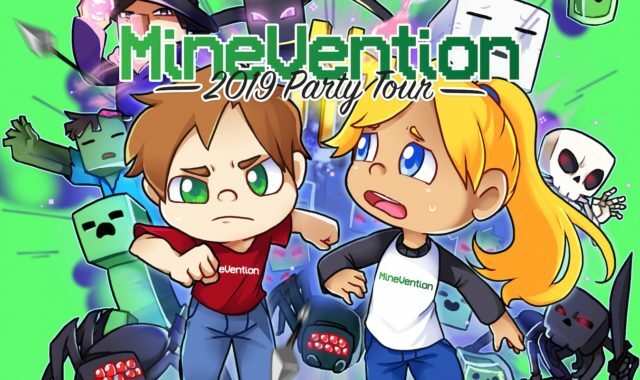 MineVention celebrates all things Minecraft through scheduled activities such as build battles, Q&A sessions, tournaments, educational talks, arts and crafts session, costume contests and on-stage challenges. Popular Minecraft YouTubers Element Animation, TycerX and FalseSymmetry (with nearly 3 million subscribers between them) will also be available meet and greet sessions, and there will be plenty of brain-fizzling activities for Minecraft fans of all ages to get stuck into. Fortnite fans can take part in one of the 16-player Battle Royale tournaments on the bus, with nearly 200 players aboard per four-hour session. The winner of each session will be rewarded with V-Bucks, the in-game currency used to buy skins, weapons and more. So if you think you have what it takes, head to MineVention! Tickets for MineVention are £15 (+ booking fee) per person, per four hour session. Sessions run from 9am to 1pm and 2pm to 6pm (morning and afternoon sessions have the same content). In addition, Sunday morning session (9am to 1pm) will be autism-friendly to create a more relaxed and sensitive environment for families with children with autism. The session content will be the same but with a reduced capacity, no unnecessary loud-speaker announcements, no loud music and reduced lighting. The event is open to all ages (children aged 3 and under go free), and all children 14 and under must be accompanied by a paying adult (18+). In addition, Dreamland’s indoor spaces including The Roller Room and diner, indoor arcade, and Octopus’s Garden soft play centre will also be open for families to enjoy.